Regardless of where you stand on the vaccination debate, it is hard to argue with hard data. And in this case, the hard data shows that the flu shot really works. 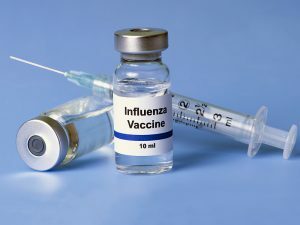 Researchers have recently learned that roughly 75 percent of all US children who died from complications related to the flu, between 2010 and 2014, were not vaccinated. From that data, then, the researchers distilled that at least 65 percent of those deaths probably could have been prevented if the children had simply been vaccinated. CDC epidemiologist Brendan Flannery led the study. He explains that the CDC receives reports, every year, regarding children who die from the flu, noting that the study certainly confirms that we can definitely prevent more flu-related deaths (among children) by increasing our rate of vaccination. Yes, flu-related deaths are rare. Most people who die of complications from the flu are already sick or have lower immune response. That is why the flu typically hits children and the elderly harder than the average adult. And that is also probably why most adults do not consider the flu to be a serious infection. Now, the flu vaccine is not perfect, of course. In fact, it is often hit-and-miss. There are, basically, three strains of the flu virus (as we know it) and every year, scientists have to try to anticipate which strain is going to be the dominant one. They also have to account for mutations and other factors that can make it extremely difficult to find the right formulation of the vaccine. And even if you do get the vaccine—if it is found to be an effective formulation—you can still get sick from the flu. The results of this study have been published in the medical journal: Pediatrics.